The greenhouse was officially completed on Friday, so on Saturday I had some time to amend the soil. I put down yards of goat compost along with ammonium sulfate, soil sulfur and humic acid. I've said it before here. 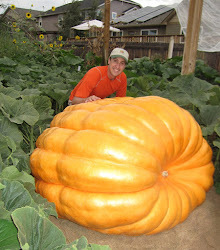 Probably about 80% of the pumpkins growth starts with what you do in the fall. Those amendments where all then tilled into the soil. After that, I then put in a cover crop of winter rye. 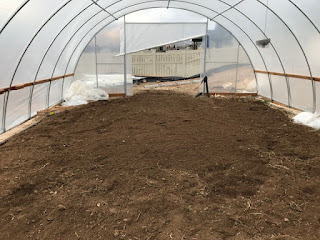 I've never amended the soil this late in November, so it will be interesting to see how the cover crop does in the greenhouse. Temps on a sunny day will be 20-30 degrees warmer than outside, but night time lows will be the same.